Adults only! 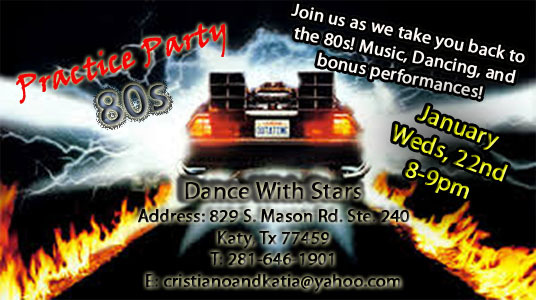 Back to 80’s Dance Party! January 22nd at 8pm! Previous PostPrevious Auditions: “Alice in Wonderland”. January 11th 10am-12pm. Call for more info: 281-646-1901.